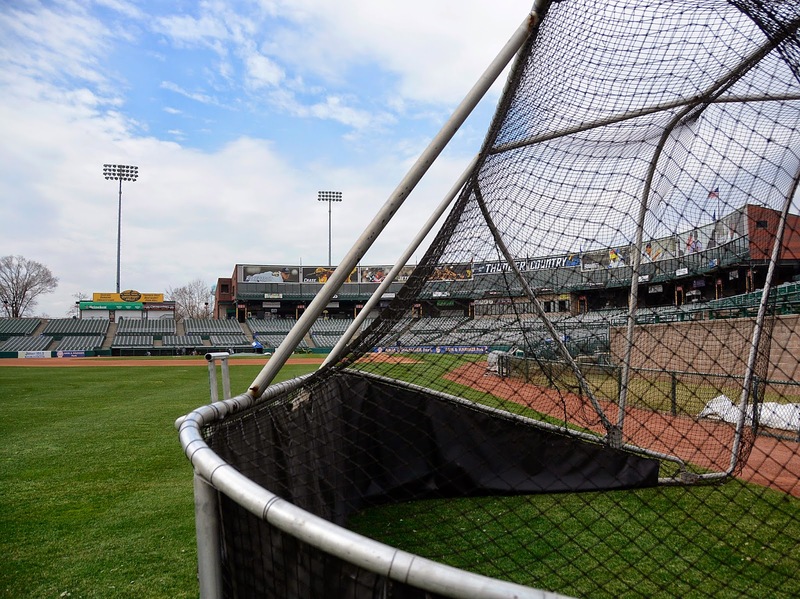 The length of the baseball season makes fools of us all, but it was hard not to get excited about the Thunder's 15-2 opening day win over the Erie SeaWolves. 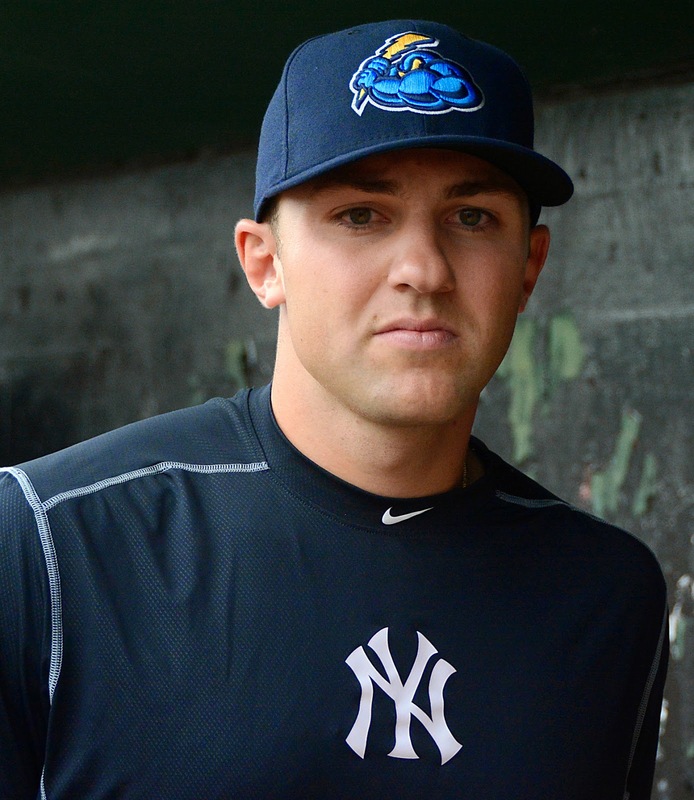 2: Jake Cave: The line speaks for itself: 4-for-6 with a home run, a stolen base, 2 runs and 2 RBI. Mason Williams seems to be in a good place after going 1-for-4 with an RBI and a walk. Despite his big day, Cave seems to have other issues on his mind. My vote is Game of Thrones. It's hard to find much at fault after such an emphatic win, but Sulbaran probably wishes his Thunder debut went a little bit better. After a long spring training, hopefully everybody is ready to go. Our goal is to stay healthy, so we are very happy and excited to be here. I’ve had some of these kids for the last two years, so it should be fun. They know where I’m coming from and I know where they are coming from. We are very familiar with each other, so I think the process of what has to be done on the field should be a lot easier, not forgetting the fact that there is still room for improvement. A lot of these guys…we have a lot of expectations for everybody on this team. As a coaching staff, I think everything should be done the right way. It is, especially the last two years. I feel that we have a bunch of good kids, a very special group. Knowing them and them knowing me is going to be a lot easier. They feel comfortable with everything that I do around the game, so that should be an advantage right away, even though they know that we still have to go out there and respect the game and respect the organization and do things the right way. We know they have to develop, but as major league players they have to understand, and I’m sure they will, that winning is a big part of it. Especially in Double-A, you see a lot of guys going to the big leagues from the Double-A level. It makes a huge impact for the player to understand, hey, you are in Double-A, we want you to get better, but you need to learn how to play the game the right way and how to do the little things to help the team win. Not only here in Double-A, hopefully some of the guys will get a call up during the season and they will be ready to help the Yankees win games. We know for a fact that some mistakes are going to be made. The physical ones are part of the game. It’s the mental ones that we concentrate on real hard, just to make sure that they learn from those mental mistakes. At higher levels, especially in the big league, you cannot afford to make mental mistakes. We know there are some guys who are going to be in the lineup every day, and some guys their role is going to be as a backup, but everybody is going to be part of the team and everybody is going to be ready. Again, we are here to get them better and hopefully ready for the big leagues. I think the key is preparation. They have to understand that it’s a day-in, day-out competition. The pressure that you are playing in front of big crowds, and just the fact that they need to prepare the right way. If they don’t they are going to struggle. I don’t care what level you are playing at. For me, my job is to share my experience that I have from playing and managing a little bit at the big leagues. In order to be successful, you have to prepare day-in and day-out at that level. From Judge, you are going to see a kid that plays hard. For his size, as a big guy, he runs well. He’s a lot better in the outfield, and he’s been working on his defense very hard the whole spring. There are some things that he needs to work on offensively. He has a lot of power potential. He can hit the ball out of the park anywhere, and is a gap-to-gap power hitter. He just needs to keep working on his patience and discipline at the plate. He has a tendency to chase some breaking stuff out of the strikezone, but that’s normal for a young guy. Defense is going to be the main goal for him to work on to get better. He will, and he knows that. Coach PJ (Pilettere) has been working very hard with him about pitch recognition. We are not concerned on that matter. It’s more about playing time and repetition and feeling comfortable that he’s smart enough to make some adjustments. Hopefully he’ll have a good start right away. Cave is one of the kids that have been working very hard on his defense. In center field there have been some balls that have gone over his head. Over at third base Jagielo has a chance to be a good third baseman with a lot of power. We have Cito Culver at shortstop, and he’s down a great job for the whole spring. I think from the top to the bottom, position player-wise, we have some good names and kids that have a chance to end up in the big leagues. Now it is going to be up to them to come out and get ready day-in and day-out. He’s going to be fine. He’s a very smart kid for his age. I had Bird last two years in Charleston and Tampa, and his approach at the plate is outstanding. I’ve seen few guys throughout my career, particularly in the minor leagues, with that kind of plate discipline. He has a good idea every time he goes to the plate. He has a plan. It is hard to see in a young hitter what Bird does on a daily basis offensively. Defensively he is getting a lot better. He’s moving laterally so much better. He has more confidence, so I think we are ready for Bird to have a good year. We know that Sanchez can catch. We know that he’s going to hit, with a lot of power. One thing I noticed with Sanchez throughout the spring was his makeup. He worked very, very hard. He’s working and communicating with the pitchers much better. He’s trying to take charge of the pitching staff, and that’s something he’s worked on all spring. Its something that I will need to stay on top of him about, that what is going to get him to the big leagues is his defense. His offense we know is going to be there, but he needs to trust and earn the trust of the pitching staff. That’s one thing he’s been working on. I’m surprised with what I saw from Sanchez spring training, and I was very impressed. We are hoping he’s going to carry that into the season. Who knows, maybe we won’t have him for to long. To make sure they stay humble. I keep telling them, it’s easy to get to high and this game can hurt you in a hurry. That’s my job, to make sure they stay humble. We know on paper we have a good team. We have a lot of prospects, but still we have to go out there and prepare the right way. We don’t take anything for granted, and at a young age that’s easy to do. My job and my priority is to prepare the team the right way and make sure they don’t take this game for granted. In 34 for years in baseball, I don’t think so. I told them, and will remind them today in our team meeting, this group is special. Everyone, all 25 guys, have a chance to end up in the big leagues. Hopefully everybody will be with the Yankees, but its hard. That’s one thing that I am going to remind them. We know we are going to get a lot of attention from the fans and the media, but we still have to come out to the park and prepare the right way. We have to have some fun and play hard. That’s one thing that we work on during spring training. We had a couple meetings in spring training where we talked to the pitchers and the hitters about it. 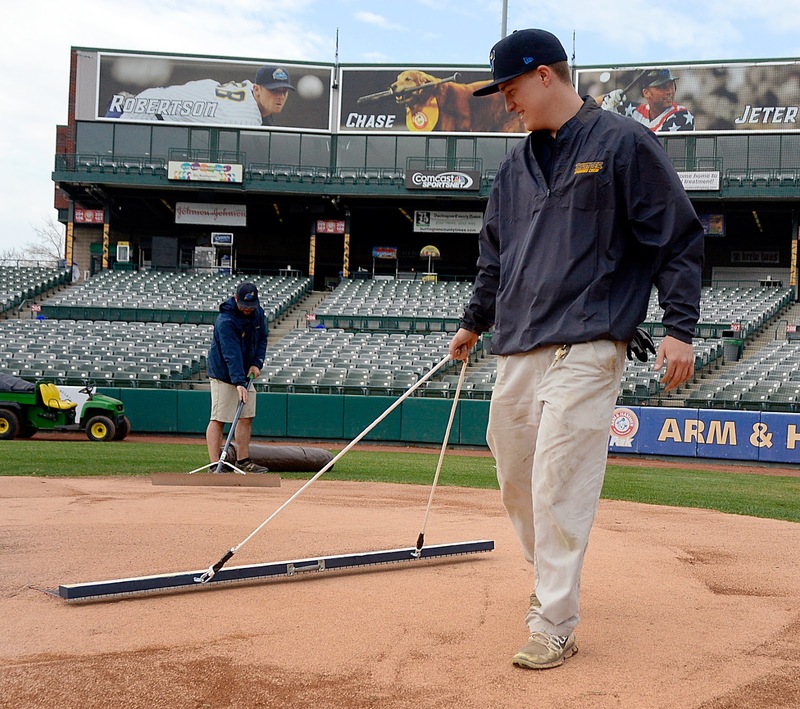 During the spring we didn’t see any issues, even in the minor leagues, because we know for a fact its going to be used in Double-A and Triple-A. We talked to the kids quite a bit on a daily basis. When we were on the field we didn’t even think about the clock. It became natural, so I’m assuming it will be the same when the season starts. He’s been working hard on his defense, especially the routine plays, not taking too much time to make the throws, He needs to be quick with his footwork. The hands will get better. I think if he gets under control and he’s set up early, I don’t think he’ll have any problems. I think the arm strength is going to be there. He’s been working with our wright program and playing long toss, so I think his strength will increase. Offensively, like I said earlier, he has a lot of power to all fields and stays inside the ball real well. I’m sure that he’s worried a little bit about the inside pitch, but that’s something P.J. can talk to you guys a little more about. Overall, I think he has a good chance to be a big league player. The DH will come from Jagielo and Bichette. We are going to platoon those two players at third base and DH. Bird, when he needs a day off, will DH as well. Going back to Bichette and Jagielo, the plan is maybe 5-2, 4-3 all depends on how the season is developing. The plan is for Jagielo to play more at third. Arcia will play some first, and we have Bichette also with that group. He worked in spring training taking ground balls there and played two games, looking very comfortable. That will also give Bichette a chance for more at-bats. He needs to be consistent with his preparation, day-in and day-out. Maintain his hitting plan, and in my opinion not change so much at the plate with every pitch. Trust the plan and stay with it, and the result will be there. Defensive he needs to work on making the routine play. We know that he has good hands and good eyes at third base, but he needs to be consistent with the routine play. I see a kid with more confidence. He knows now that he is on the map. There was a lot of conversation with him at big league camp, and he’s taken that to his advantage where he can play at a higher level. He trusts himself more, and in center field he’s gotten so much better. Offensively he is going to strike out a lot, which is not a concern because he is very aggressive. He’s got some power, but I’m impressed with his work habits. He knows that he needs to prepare every day the same way. He’s maturing a lot as a player. We expect from Severino to keep working on his development as a player. Trust himself, trust hi fastball. This spring he threw the ball really well. He’s a young guy, his first time at Double-A. I had him last year a little bit, and I had him in Charleston a little bit. There is no doubt that he can be a No. 1 star for any organization. We are going to go slow just to make sure that he is developing the right way. Make sure he understands what it takes to be successful. That’s another kid that we are going to make sure he stays humble. He opened some eyes in the big league camp, so our pitching coach Jose Rosado, that’s that’s going to be his job to make sure he stays humble and keeps working on his preparation. I’m sure he’ll be fine. I think command-wise he is throwing the ball much better. He is working the ball down in the zone with better command. He’s throwing every pitch with a purpose, and now he’s stiking with a plan. Last year he overthrew some fastballs, and he was working too hard to try to show people he was ready for the next level. He put a lot of pressure on himself, and fought with himself on the mound. Now, you see he has a lot of confidence and is more relaxed. He knows he needs to use his fastball and trust his fastball. His second pitch, his slider, is outstanding, and the changeup. The one thing that really opened my eyes about Severino this spring was the maturity that he showed and the composure he showed on the mound. With Camarena, it all depends on how he comes back from his injury. He’s had some elbow soreness. At the time we left he was feeling a lot better, but I’m sure they are going to go slow with him to make sure that when he is ready to come up here he is 100 percent. Pazos is the same thing. Basically, they are on the same plan. They are back in Tampa. Castillo got hurt, if I am not mistaken, three or four days before we broke camp. He dove for a ball ant second base and landed on his middle finger and got a small fracture. It is going to take a couple weeks, who knows, but we are hoping that he gets here soon. He’ll be up here when he is ready. Nuding is the same way. It’s a process that we are going to have to be carefull with. His arm-strength and his throwing mechanics in the outfield. He needs to be shorter. That’s something that he’s working on during warmups, just to make sure he’s taying on top of the ball. Defensively needs to stay focused throughout 27 outs. We know he has a tendency when he is not hitting the ball well to take it to his defense, but I have to give him credit. He’s done so much better throughout the spring. He was leaving the offense in the dugout and going out and playing some good defense this spring. That’s something that he needs to understand. When you are not hitting you still need to go out there and play defense and help the team. I think he improved a lot on his defense. Carlos Mendoza, the infield coordinator, worked with him real hard early in camp. He showed up in great shape. At the end of last season, Tony Franklin said he was not done in baseball. 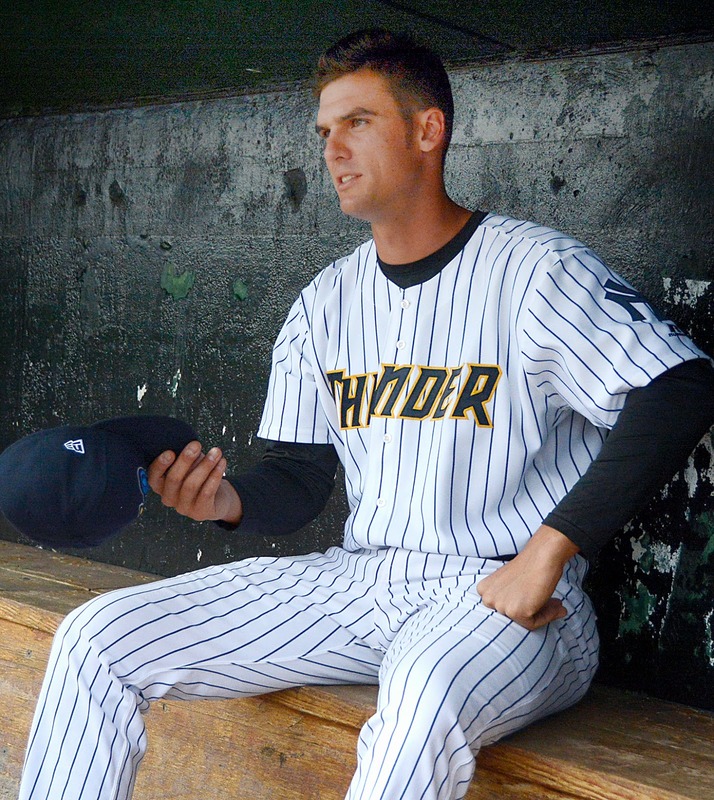 While the longtime Thunder manager won’t be returning to Trenton, he will indeed be spending plenty of time at ballparks in 2015. Franklin, 64, will be staying with the Yankees organization is a role he characterized as a “roving evaluator”, though his specific title has not yet been finalized. 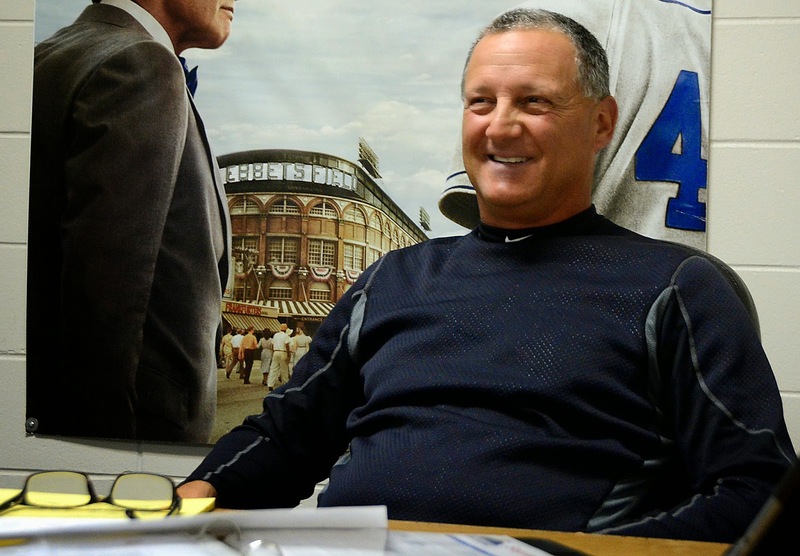 In essence, he’ll travel around the system — particularly the lower affiliates — imparting his 40-plus years of baseball experience on both players and younger managers. According to Franklin, he was approached for the new role by Gary Denbo, the Yankees’ vice president of player development, who wanted more experience around the lower levels of the system. 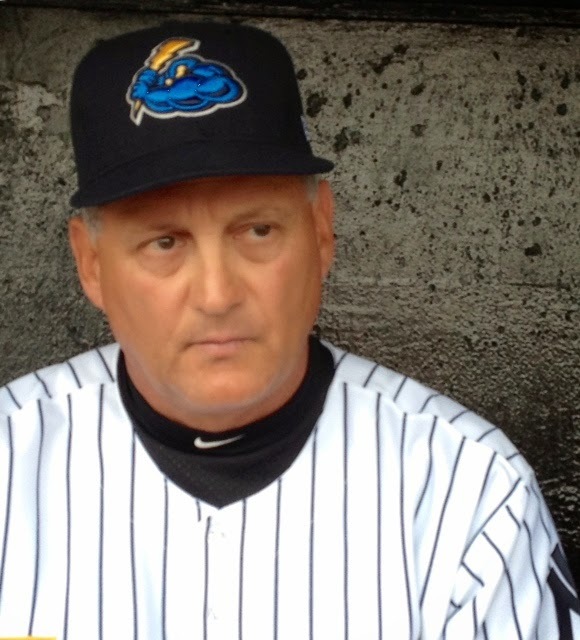 On Thursday, the Thunder announced that Al Pedrique would be taking over for Franklin as manager in 2015. 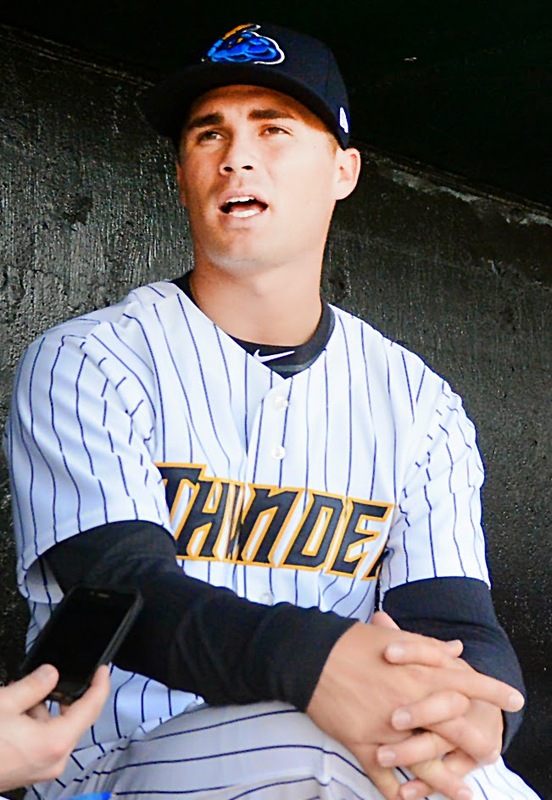 Franklin spent eight seasons as Thunder skipper, winning three Eastern League titles in five championship series appearances and becoming the league’s all-time winningest manager. Franklin had nothing but positive words to describe his time in Trenton, praising both the organization and the fans. 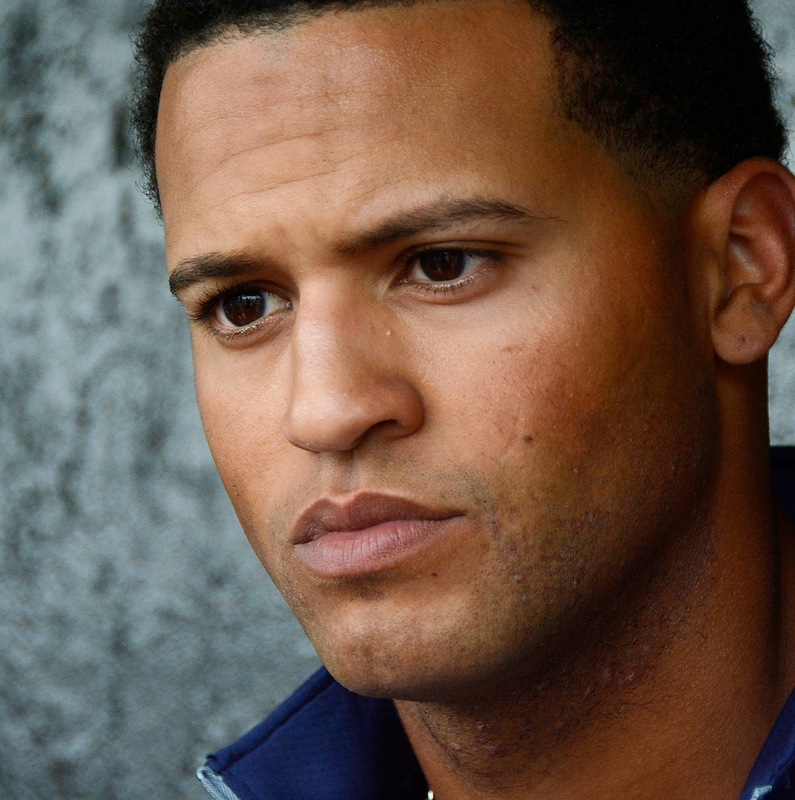 Pedrique, a native of Venezuela, managed High-A Tampa in 2014 and Low-A Charleston in 2013. He played parts of three major league seasons with the Mets, Pittsburgh Pirates and Detroit Tigers, and has big league managerial experience as well. He was the interim manager for the Arizona Diamondbacks in 2004, and spent 2010-12 as a bench coach for the Houston Astros. As previously reported, Pedrique will be joined by pitching coach Jose Rosado, hitting coach P.J. Pilittere, defensive coach Michel Hernandez, trainer Lee Meyer and strength coach Orlando Crance. While Franklin won’t be with the Thunder every day, he probably has not set foot in Arm & Hammer Park for the final time. 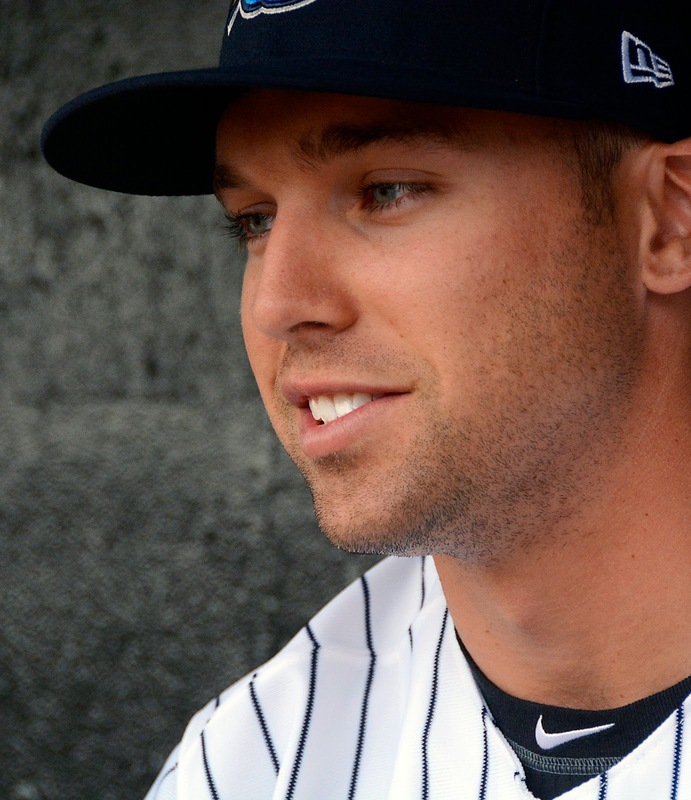 He said that he expects his new role to bring him north to Trenton (and Triple-A Scranton Wilkes-Barre) at least once this season. He’s got a big arm and a real special change up that’s impressive, especially at that age of 20. As advertised. Ground balls and strikeouts. They have good arms. You want to get a collection of guys, as many as you can, with some power. Goody is coming back from his injury a year ago, and was putting up some serious numbers in Tampa. He’s working his way back and has a good arm, so we have some hope for him. Burawa has a big arm and a wipeout slider, so its just about commanding it. We’ve seen that before with a guy like Dellin Betances. It’s trying to harness that physicality and channel it, and we are hoping that down the line all those pieces fall into place eventually. You keep coaching it and playing it, and in some of the cases it clicks in. When it does, its real special. We’ve got some arms, no doubt about it. We had Webb here, and now he’s at Triple-A. Rumbelow is at Triple-A. These guys are pretty interesting characters in themselves, and we have some guys who could be moving up to Triple-A soon enough. I think a lot of the guys that you are seeing that have been here or are currently here, you have a chance to see as early as next year, and in some cases you can never rule anything out. We do have some left and right side arms that get asked a lot about, and that I’d certainly ask about a lot. I came down here to see some of those guys a lot. I think there are a number of them that stand out. We have a lot of guys here that have some ability. I think there are a number of players on this roster that will play in the big leagues, not just on the pitching side but on the position player side too. He used to have much bigger velocity, and now its settling at a lower level. He still has the performance behind it, its just not the power stuff it was before. He’s still someone that’s on our radar. He’s obviously still fighting through his year offensively. On the defensive side he’s pretty special, but I know that there is a lot of plus developments in his game at the same time. I met with Tony before the game and got the rundown, and he’s certainly growing in the right direction, from what I’ve been told. He’s got a lot of athletic ability. Kind of like how we talked about Danny Burawa earlier. Hes got some physical tools that are above and beyond some other peoples’, so you are going to keep playing it out there until it all clicks in. When it does, it doesn’t garuntee it will eventually, but for those that have the physical ability, you keep giving them the opportunity to play and grow and learn and when it all kicks in and you have that physicality it can come really quick. He’s still developing, and sometimes you just have to wait on it. Right-handed starter Luis Severino was promoted from High-A Tampa to the Thunder Tuesday afternoon. 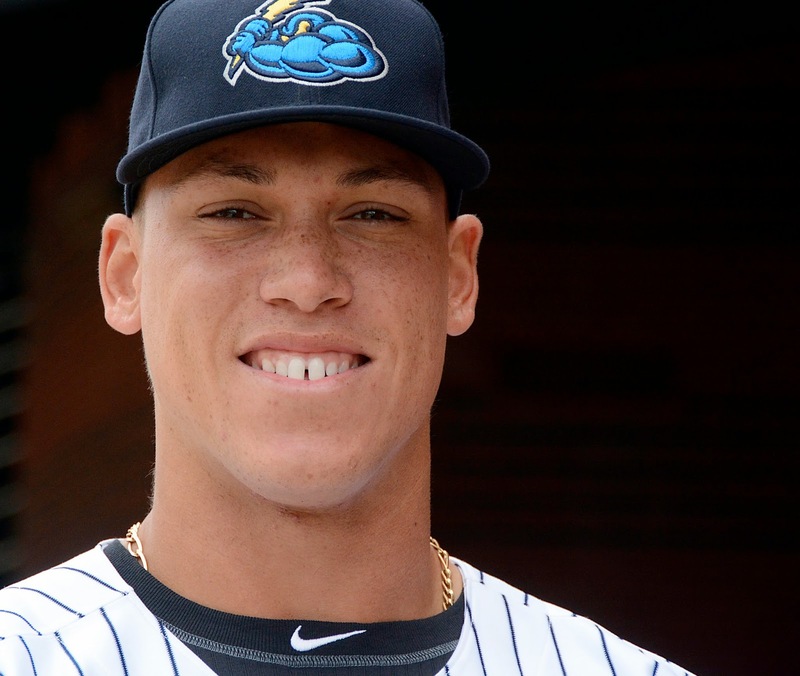 The 20-year old Dominican native has seen his stock rise as quickly as any in the Yankees organization this year. After starting the season with Low-A Charleston, he was promoted to Tampa in late June, posting a 1.31 ERA in four starts at that level. Severino also impressed as one of the two Yankees representatives at the MLB Futures Game in Minneapolis. He didn’t allow a run in his one inning of work, striking out top Texas Rangers prospect Joey Gallo. The news was first reported by Baseball America’s Josh Norris.